I have to admit, I personally don't like labouyi (porridge). Neither do I like avwan (oatmeal). Ever since I was little, I avoided it as much as possible. My mother used to make it a lot. After she noticed we never really ate it, she stopped making it. The majority of my younger siblings probably have no idea what labouyi is now. My mother-in-law used to make it for my son. He's a toddler and actually enjoys it. He certainly didn't take that from me... My husband enjoys it too so I guess I'm the oddball. So why a recipe on labouyi? Well, it is a traditional Haitian dish that warrants some attention. Plus, I've had a few requests. 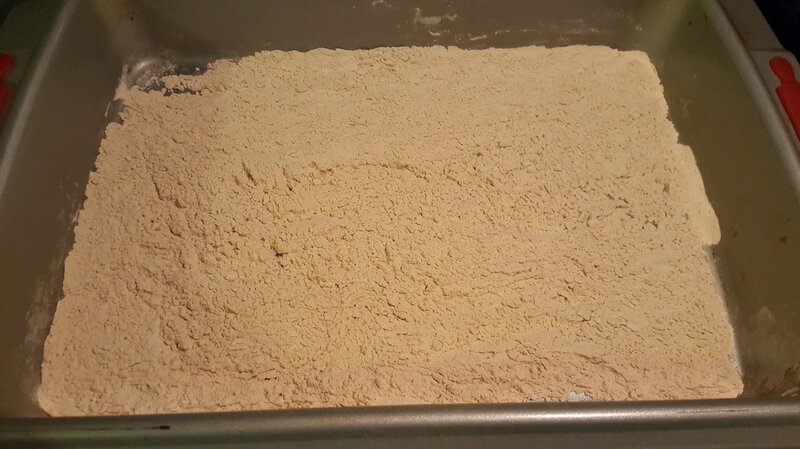 Labouyi comes in several different forms and can be made from flour, plantains, and even spaghetti! I've seen all of them in my household growing up, but never bothered to eat them. But some people love them. The texture is much smoother than oatmeal and it's sweet. 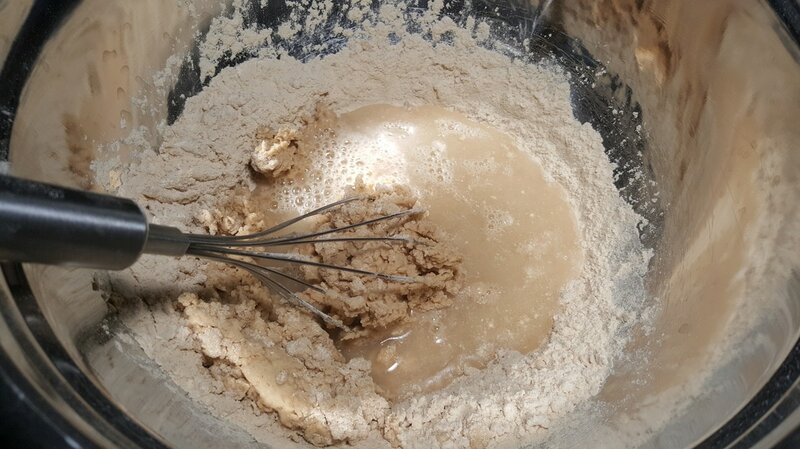 Since I never bothered to learn how to make labouyi, this recipe was created with the help of my uncle. 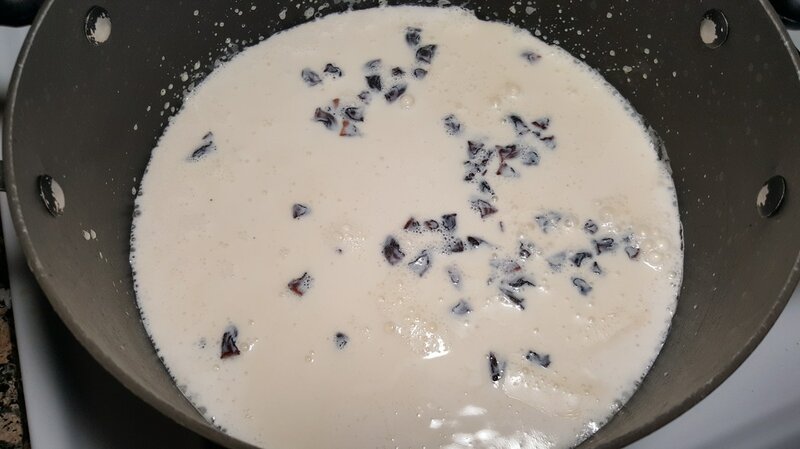 Many thanks to my uncle for helping me to present to you this version of Labouyi Farin (flour porridge) that he picked up from my late grandmother. 1. 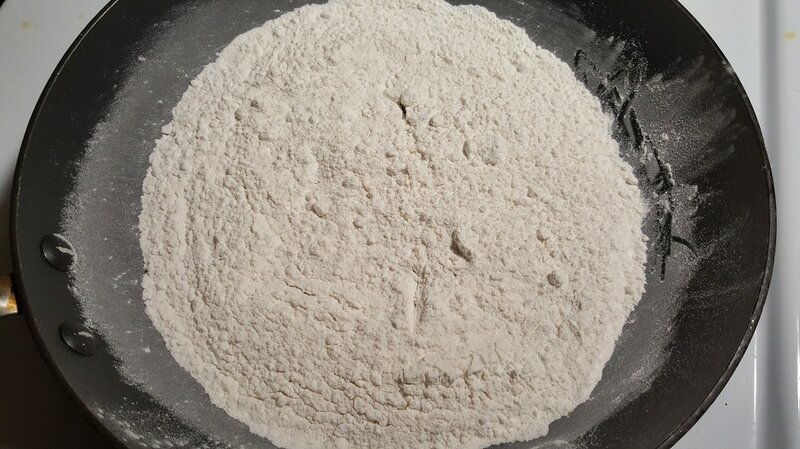 In a pan on medium low to medium heat, place in about ¾ - 1 cup of flour. 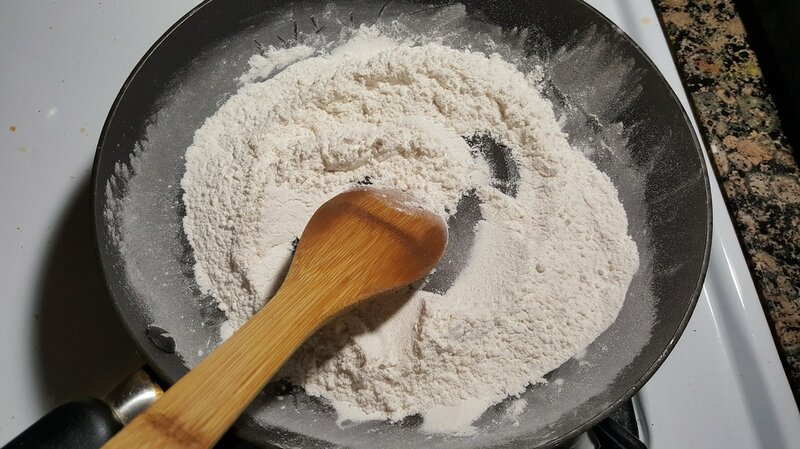 Stir frequently to keep the flour from burning. 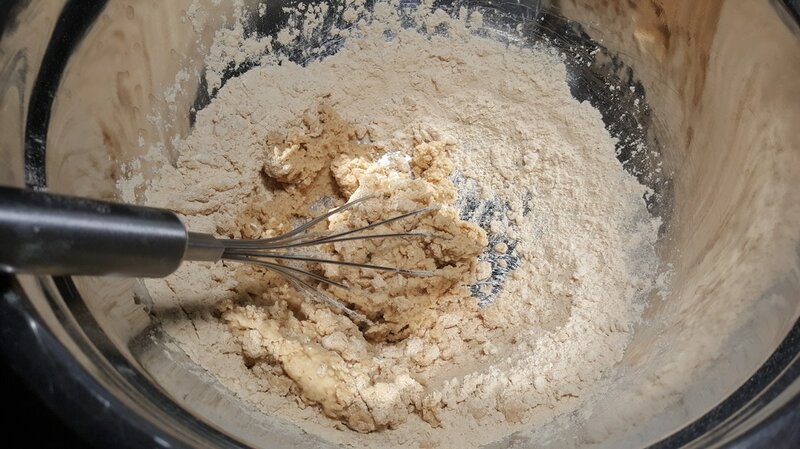 This process is to toast the flour until it reaches a slightly darkened/yellowish color. 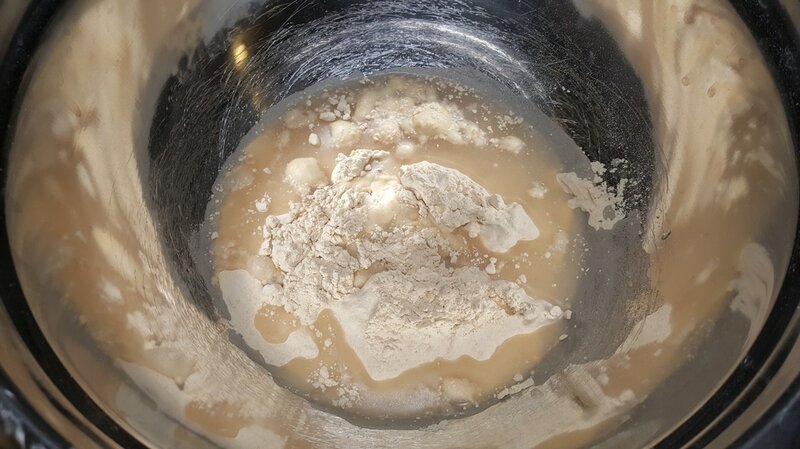 ​*This is imperative as it also gets rid of the raw flour taste when added to the liquid in the upcoming steps. 3. 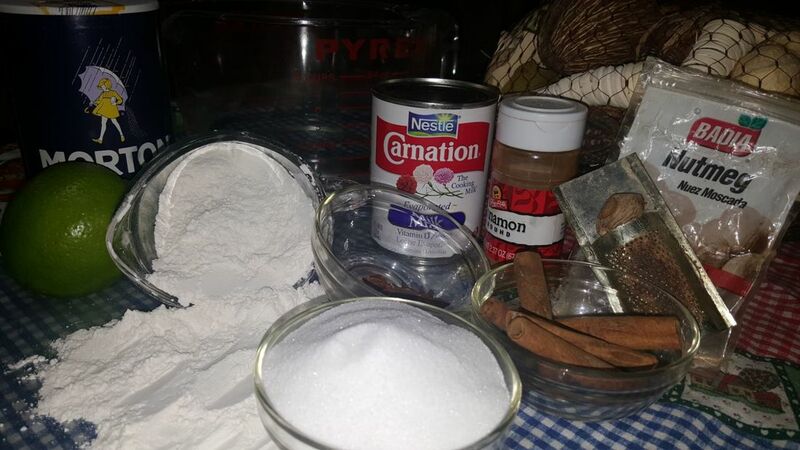 While allowing the flour to cool, place the cinnamon sticks, star anise, 2 cups of water, and 1 can of carnation milk in a pot on high heat. 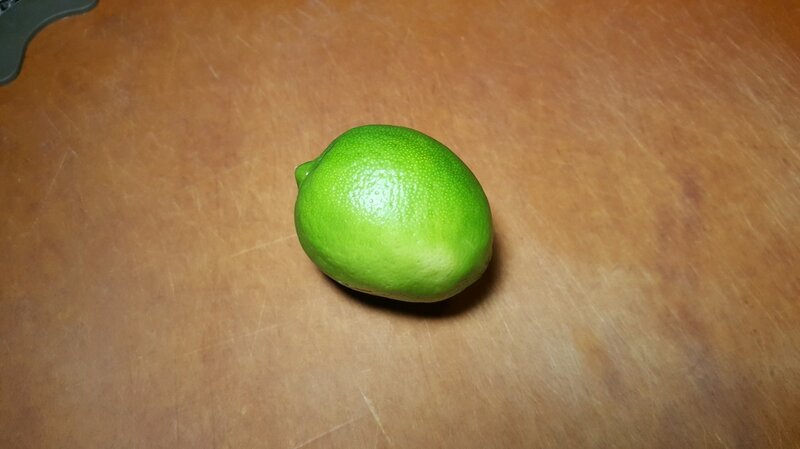 ​Also, mix in the ½ tsp. of salt and 4 – 6 tbsps. of sugar based on your preference for sweetness. ​4. 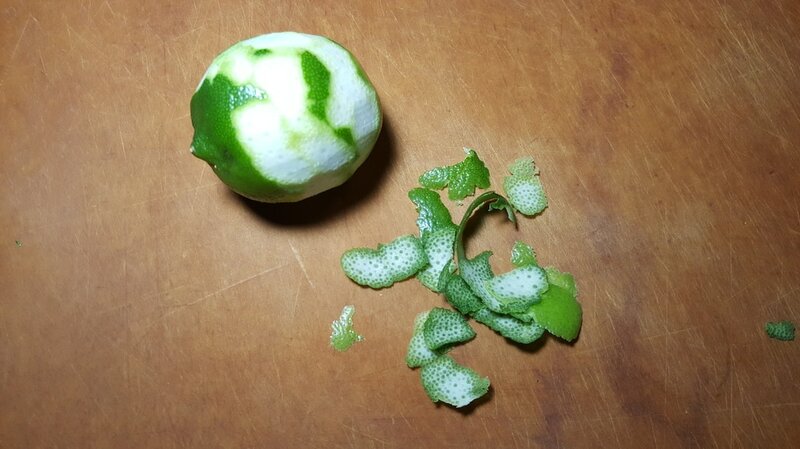 Meanwhile, wash 1 lime and peel the skin. If possible, try to peel it in a spiral fashion to have 1 uniform piece that will be easier to remove later on. Add the skin to the pot. 5. When the liquid comes to a roaring boil, reduce heat to medium and let it continue to simmer. 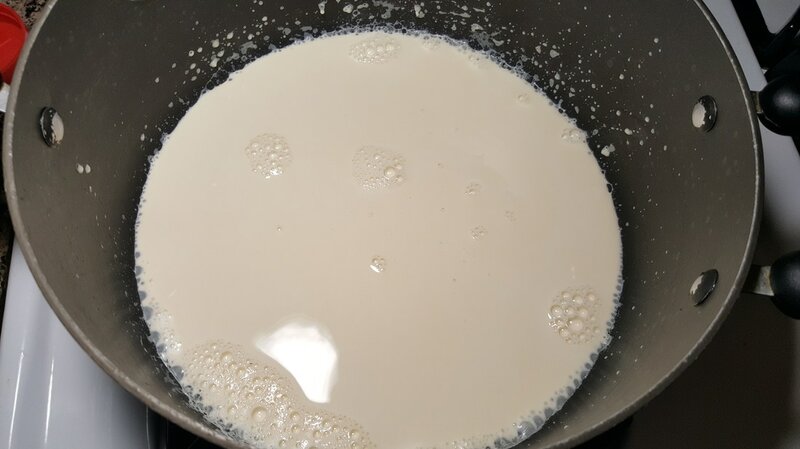 Allow the liquid to reduce close to half, approximately 8 – 10 minutes or so. 6. 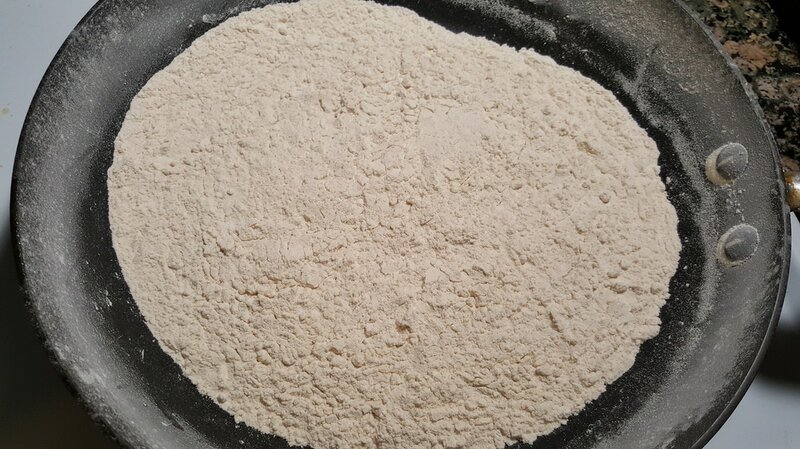 Transfer cooled flour to a bowl. 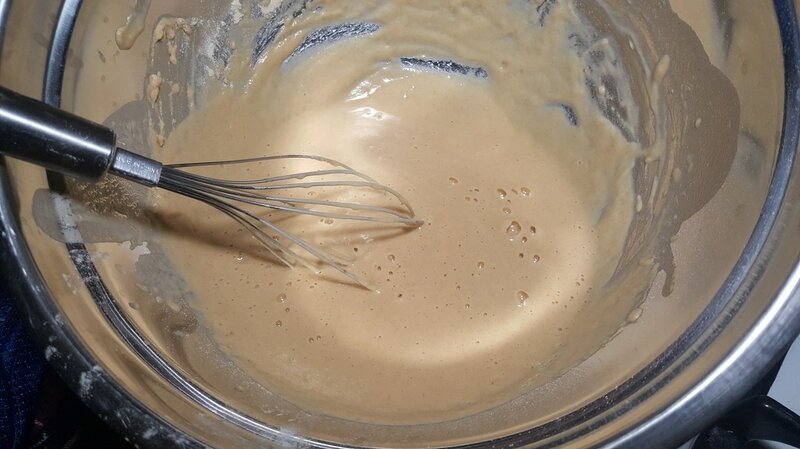 Add a little bit of water at and time and whisk until it becomes smooth, uniform, and runny. This may take up to 1 cup of water or even more. 7. 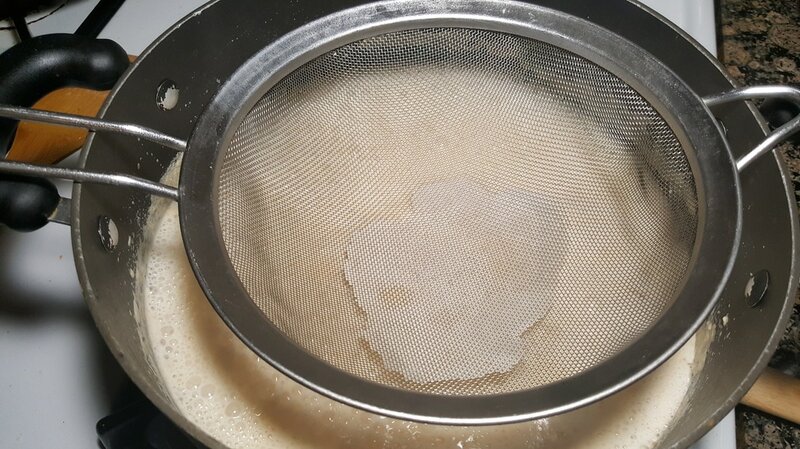 Place a wire mesh strainer over the pot of simmering milk and pour the flour/liquid mixture into the strainer. This helps prevent large clumps from getting into the pot. 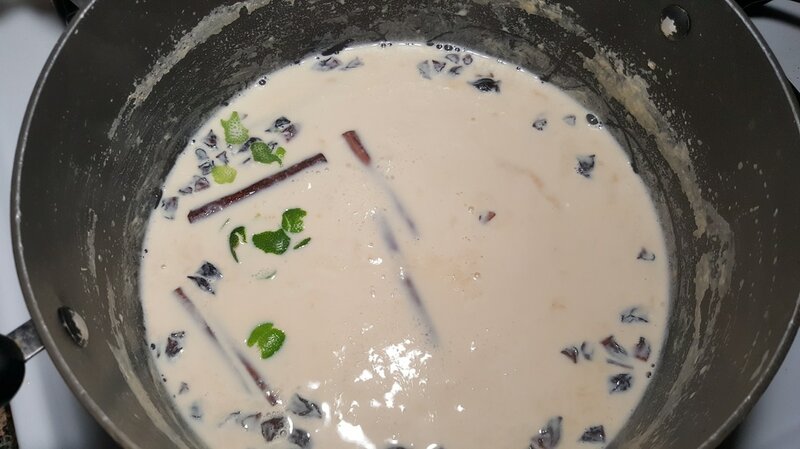 ​*If desired, you can also strain the milk to remove the cinnamon sticks, star anise, and lime skin PRIOR to adding the flour/liquid mixture. In this demonstration, everything was left in the pot. 8. 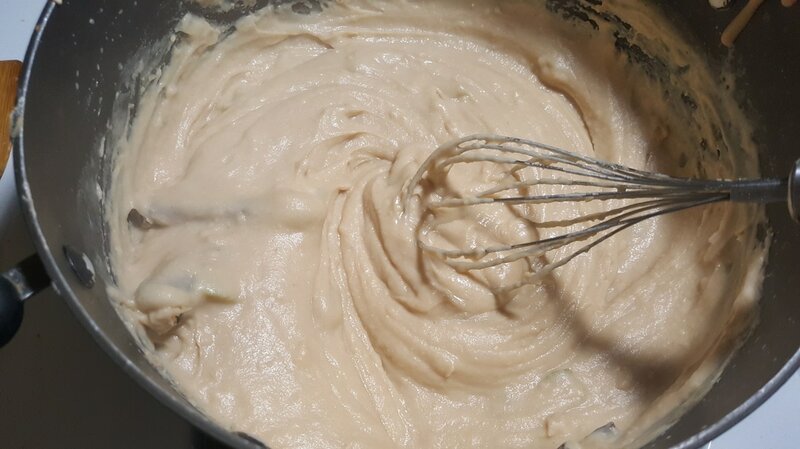 Mix the contents of the pot with a whisk until it is well combined. 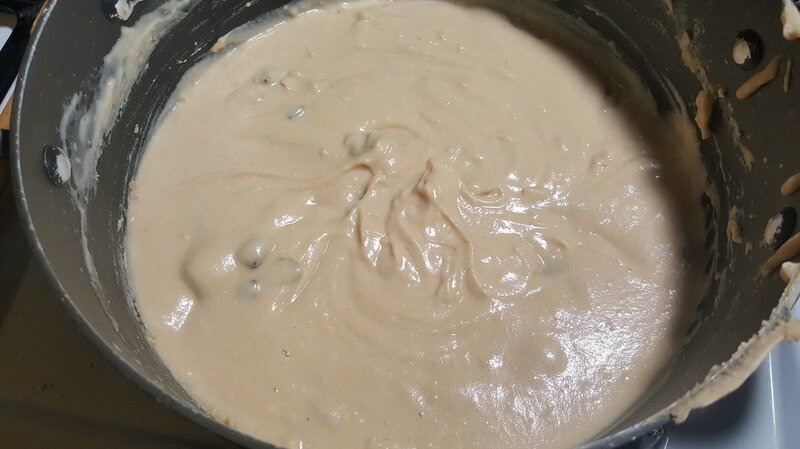 As it continues to cook, it should form the consistency of a batter. You can sample the labouyi and add additional sugar to taste if desired. 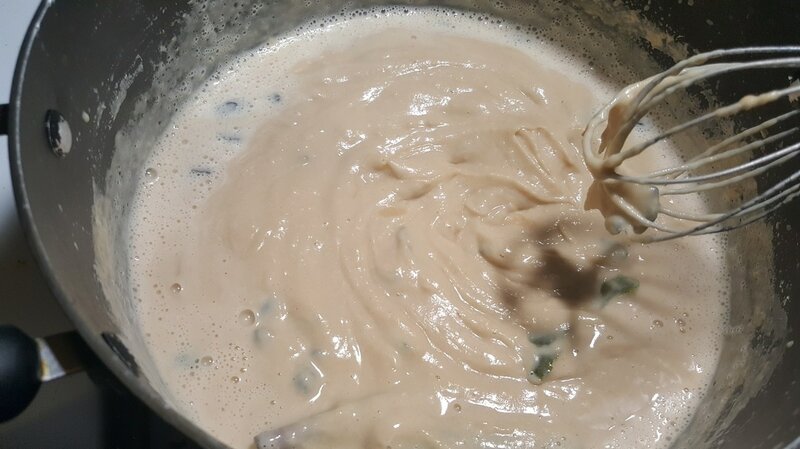 Continue to simmer on low to medium heat, stirring frequently until the “batter” slightly thickens to your desired consistency (at least 5 - 10 minutes). 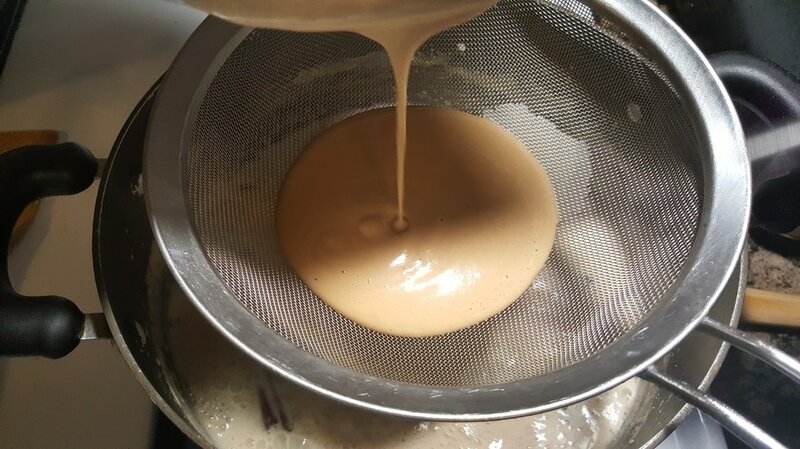 If too thick, you can loosen with a little more water or carnation milk. 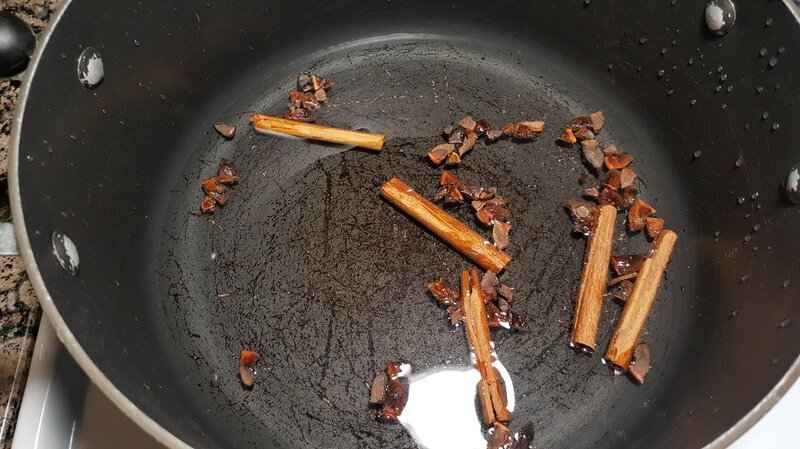 After plating, sprinkle ground cinnamon and/or nutmeg if desired and the Labouyi Farin is ready to be served. What do you think of this recipe? What kind of labouyi do you prefer?